HRRN's Jock Talk show, episode #120. Presented by Tito's Handmade Vodka. 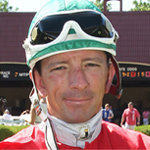 Kristina McManigell spends an hour with jockey Dean Butler. HRRN's Jock Talk show, episode #119. Presented by Tito's Handmade Vodka. 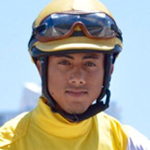 Kristina McManigell spends an hour with jockey Alex Solis. 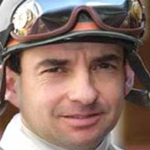 HRRN's Jock Talk show, episode #118. Presented by Tito's Handmade Vodka. 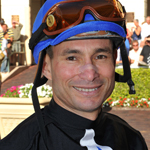 Kristina McManigell spends an hour with jockey David Cohen. HRRN's Jock Talk show, episode #116. Presented by Tito's Handmade Vodka. 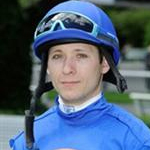 Kristina McManigell spends an hour with with jockey Alex Canchari. Jock Talk with Frankie Lovato Jr.
HRRN's Jock Talk show, episode #115. Presented by Tito's Handmade Vodka. 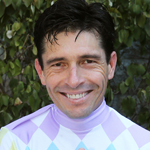 Kristina McManigell talks with jockey Frankie Lovato Jr.
Read more about Jock Talk with Frankie Lovato Jr.
HRRN's Jock Talk show, episode #114. Presented by Tito's Handmade Vodka. 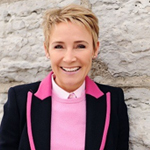 Kristina McManigell talks with jockey Julie Krone. Jock Talk with Jose Valdivia Jr.
HRRN's Jock Talk show, episode #113. Presented by Tito's Handmade Vodka. 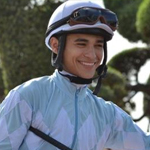 Kristina McManigell talks with jockey Jose Valdivia Jr.
Read more about Jock Talk with Jose Valdivia Jr.
HRRN's Jock Talk show, episode #112. Presented by Tito's Handmade Vodka. 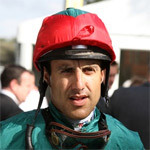 Kristina McManigell talks with jockey Rayan Gazader. HRRN's Jock Talk show, episode #111. Presented by Tito's Handmade Vodka. Kristina McManigell talks with jockey Darryll Holland.